FREE FROM: GLUTEN, GRAINS, DAIRY, EGG & REFINED SUGAR. SPECIFIC CARBOHYDRATE DIET (SCD) & PALEO. 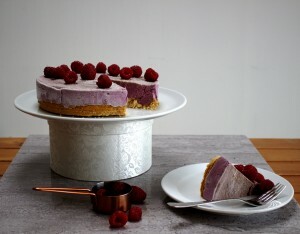 I’ve been working on the idea of this Raspberry Cheesecake for quite some time. I’ve tried all sorts of cheesecakes since I started the Specific Carbohydrate Diet (SCD) but none of them seemed quite right. 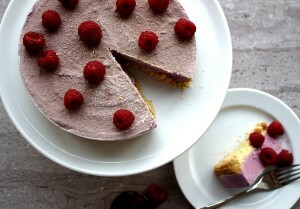 Having successfully made delicious dairy-free ice-cream I decided to play with that idea to make a cheesecake. After much recipe development, I’m really happy with the results. This Raspberry Cheesecake is definitely a special occasion cake. I’m not going to lie to you-it’s not cheap to make but it does make a huge amount of portions so it’s perfect for a party or for Christmas. As it’s kept in the freezer, you can make it a couple of days in advance. Simply, take out to thaw in plenty of time before you want to eat it. My family loved this one and admitted they will be having this one for Christmas dessert and skipping on the usual sugar-laden goodies. If my husband will be eating this, you can assume it’s good. He doesn’t do SCD/Paleo just for me. The taste has to be there. 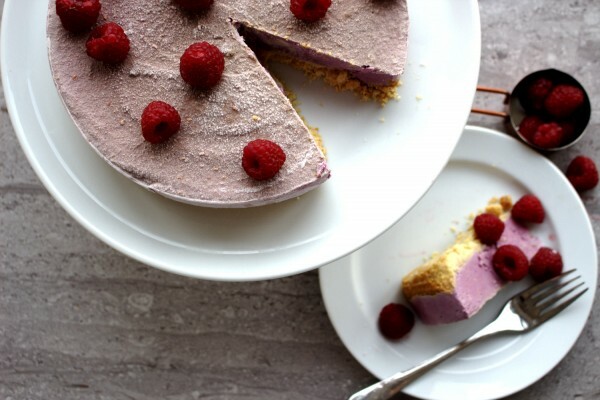 Gluten, grain, dairy, egg and refined sugar-free never tasted so good! There is a bit of work in the preparation and it requires having a few things to hand the day before. Trust me, it will be worth it. The day before you need to soak two cups (250g) of raw cashew nuts in water. You need to leave them at least 12 hours to soak but even a bit longer is better. You’re soaking them to help them to break down (this is what will make your cheesecake “creamy”) and also importantly, this helps the cashews to become more digestible. I used an 8 inch springform cake tin to make this. A deliciously "creamy", rich cheesecake that you wouldn't believe is dairy-free. Grease the baking dish with a little coconut oil. 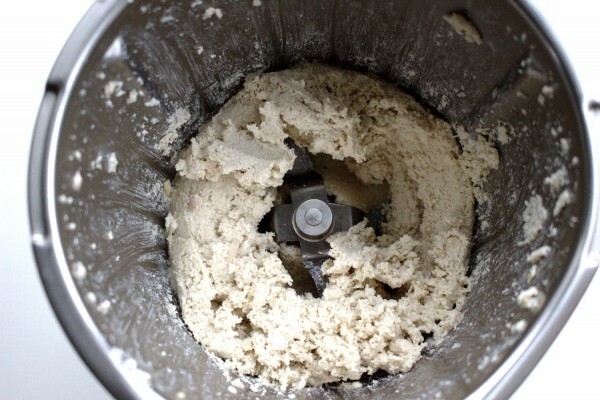 Mix together the ingredients for the crust in a blender or a bowl until combined. 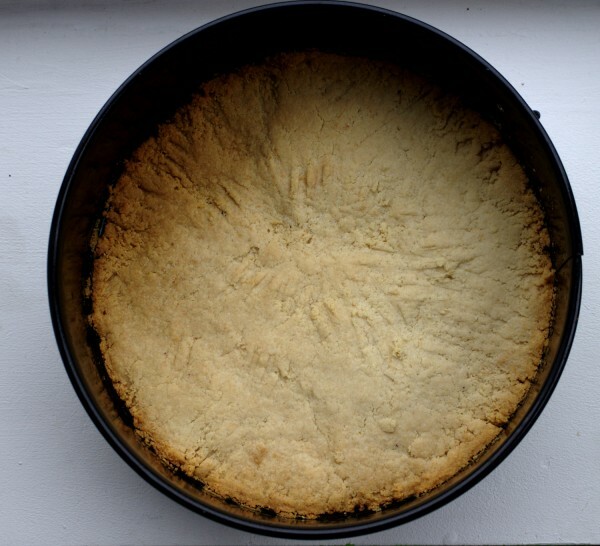 Then press the crust into the tin using a spoon and fork. Bake for 15 mins or until the crust is lightly golden. Allow the crust to cool completely before pouring in the filling. 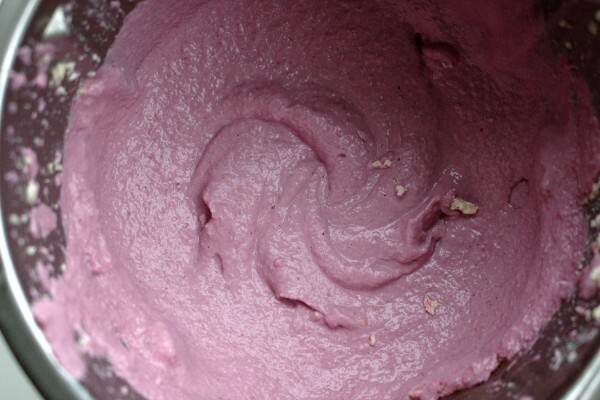 Drain the cashews and process in a blender until smooth. 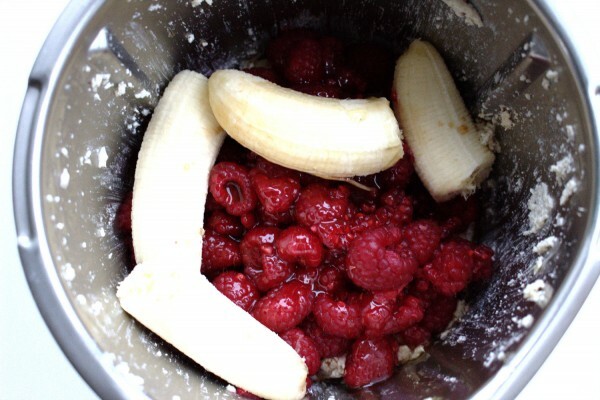 Next add the raspberries, bananas and honey to the blender and process until well combined. Pour the filling onto the cooled crust and freeze for at least 4 hours or longer if desired. If the cheesecake has been frozen overnight and is frozen solid, you will need to thaw for at least 40-50 minutes before eating. If the cheesecake has been frozen for less time, then 20 minutes may be enough time to thaw before eating. The consistency of the topping should be like ice-cream. 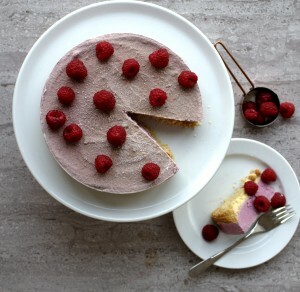 Decorate with extra raspberries if desired. Have just finished making this, can’t wait to try it! Thanks for the fantastic recipe!